At Suncoast Fencing, our privacy Screens are a unique and stylish privacy option that will compliment your home and lifestyle. Suncoast Fencing offers fully welded aluminium privacy screens, also supplying some of the styles in a rivet/screw system for the ‘DIY handyman’. Privacy Screens are available in a large range of powder coat colours with endless options of frame, channel and slat sizing available to ensure your privacy screen works seamlessly in with your home. 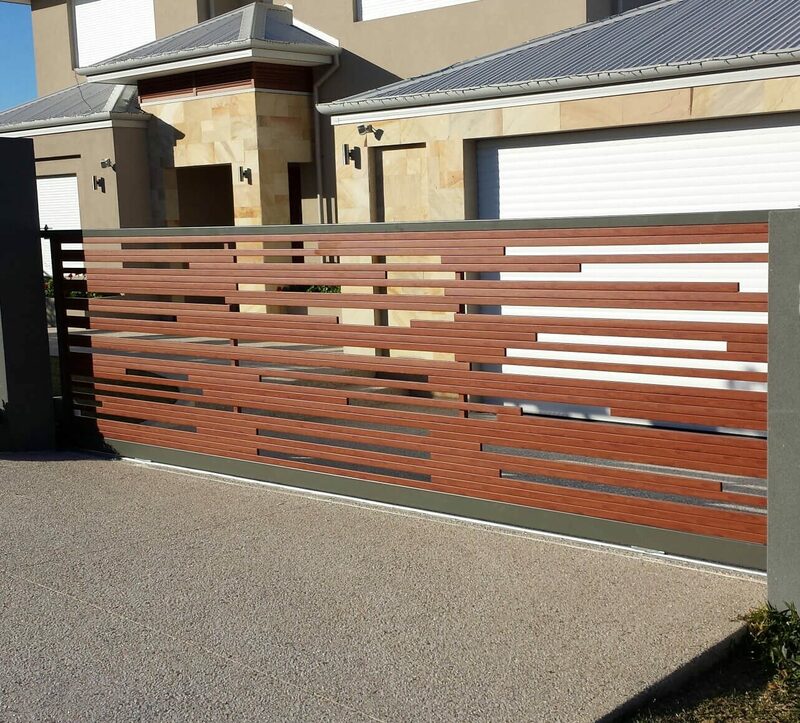 Whether you are creating a private retreat or adding an eye catching feature to an area, Suncoast Fencing has a privacy screen system to suit your needs. Our custom pieces are made for Aussies and by Aussies in our local Woombye factory, so no matter how specific the project, we can find, fit, match a solution and create the ideal aluminium screen for your needs. Whether it be for your home or your business, we offer high-end fencing solutions for any domestic, commercial or industrial market with expert knowledge and service right the way through. With over 25 years of experience in aluminium and fencing, you can rest assured that our fencing professionals can help you select a style and function that you can love for a long time to come! Unlike other metals, aluminium is naturally resistant to corrosion, and the added bonus? It looks great! Take a look at some of our previous handiwork below – it might give you some great inspiration for your project! Horizontal slatted privacy fencing can be used in almost any area of your home, including pool fencing applications. ✓ We offer a large range of slat shapes and sizes and powder coat colours. ✓ We can manufacture fixed panels, pedestrian gates, single and double driveway swinging or sliding gates. ✓ All items are made to suit your requirements, give us a call today or submit a contact us form to discuss your project. Vertical slatted privacy fencing can be used in almost any area of your home, including pool fencing applications. Louvered privacy fencing, both horizontal and vertical can be used in almost any area of your home, including pool fencing applications. Slatted Window Screens, Bin Enclosures, Pool Pump Covers and much more!!! Horizontal or vertical slatted & louvered privacy window screens, bin enclosures, pool pump covers and so much more!